Paquime, or Casas Grandes, was an ancient civilization that existed from 1130 AD to 1450 AD. It was home to the ancient Mongollon people who created beautiful poetry pieces. The Casas Grandes archaeological site is located in Northern Mexico in the state of Chihuahua. This is where the man credited with reviving the lost pottery of Paquime, Jose Quezada Celado, is from. Not much was known about the original methods the Mongollon used to create their pottery. That is, until Quezada began experimenting at his home in a village called Mata Ortiz. Juan Quezada Celado was a farmer who often collected firewood near the remains of Paquime. He noticed bits and pieces of clay around the site, and eventually had become curious enough to start recreating the pieces he found. (Source: “The Ceramics of Mata Ortiz” (PDF). Sherds: The newsletter of the Museum of the Red River. Idabel OK: Museum of the Red River. January–March 2010. Retrieved June 16, 2012.) He gathered clay from the many deposits in his area and officially began experimenting in the early 1960’s. That was where everything began. 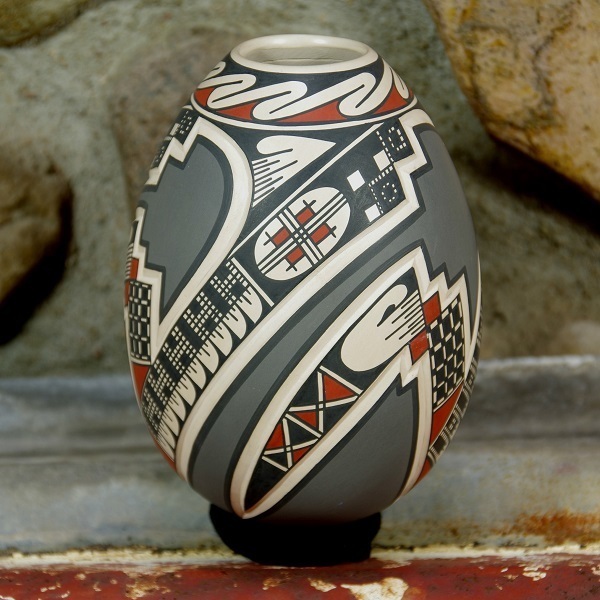 By the early 1970’s, Quezada had officially found a way to recreate the pottery. He started out by giving his creations to family, friends, and fellow villagers. During the mid-1970’s, he was gaining commercial traction in the United States by selling to smaller stores in the Southwest. Enter Spencer MacCallum, a man who had become Quezada’s mentor and agent. 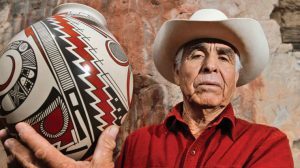 He was responsible for bringing Mata Ortiz pottery to the mainstream by helping Quezada get into various museums and galleries. Juan Quezada Celado’s craftsmanship was finally recognized for its brilliance. He had taught friends and family until finally a good portion of his village was creating the pottery. It was rightfully named Mata Ortiz, and had brought the village out of poverty. Juan Quezada Celado holding a piece of Mata Ortiz pottery that he created. Want to know how it’s made? Here is a quick video showing the basic methods of making Mata Ortiz pottery.